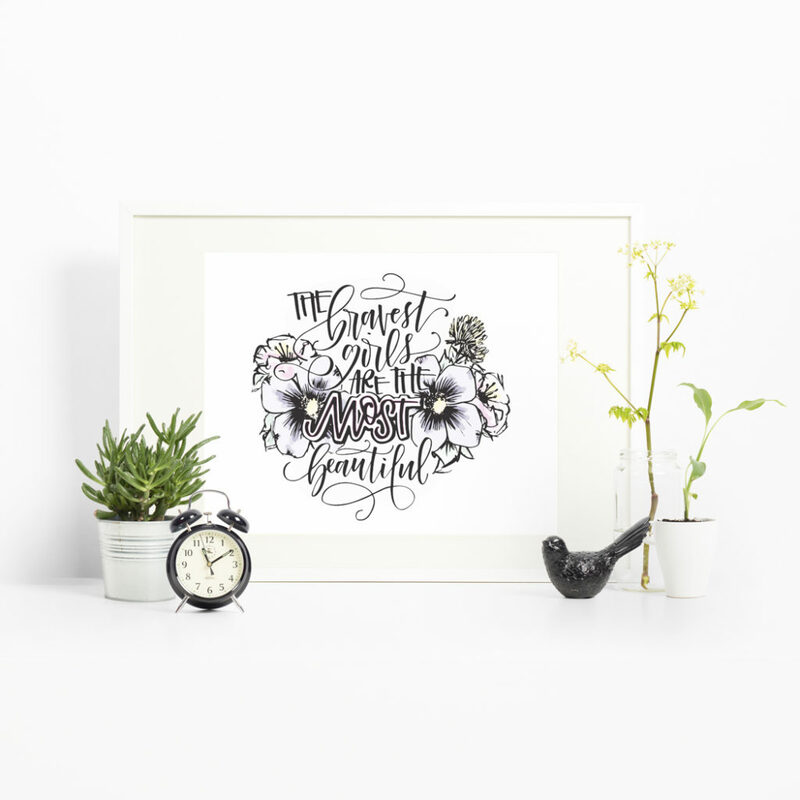 There are lots of upcoming online lettering courses planned in the next few months. Make sure you don't miss out on a single one! CLICK HERE TO FIND OUT MORE ABOUT iPAD WATERCOLOR WONDERS! Let's take your lettering even further by taking you off of the basic pen and paper and moving you to different surfaces and amazingly blended colors. 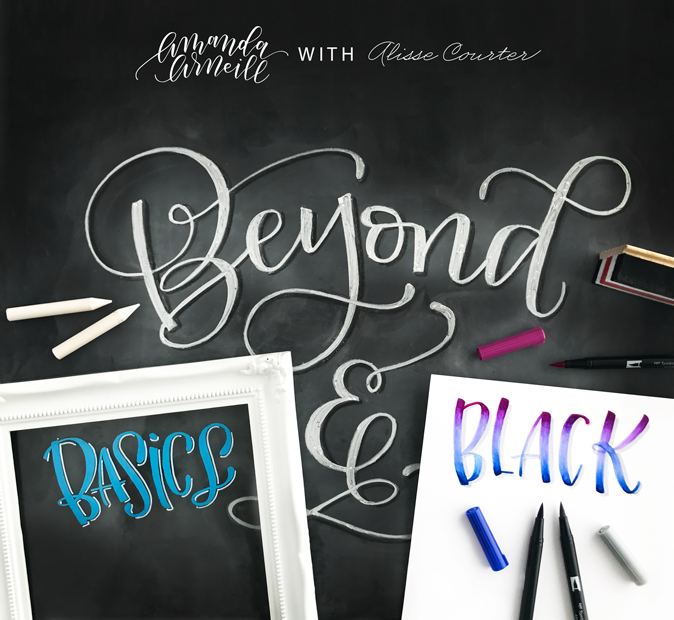 In this advanced course, Alisse Courter (@alissecourter) takes you behind the curtain and shares all of her wizard-like tricks for amazing blends that make the letters look like they are jumping right off the page (...hence the wizard status). I constantly get asked how I letter on different items so that they last, look the way that the do, don't bleed and allow me to create pieces that allow me to escape from the paper jail. Learn all of my tricks and techniques for window lettering, writing on canvas and chalk art to take you beyond chalk basics to chalkboards you can ship without worry and digital manipulation of your chalk art on the iPad. 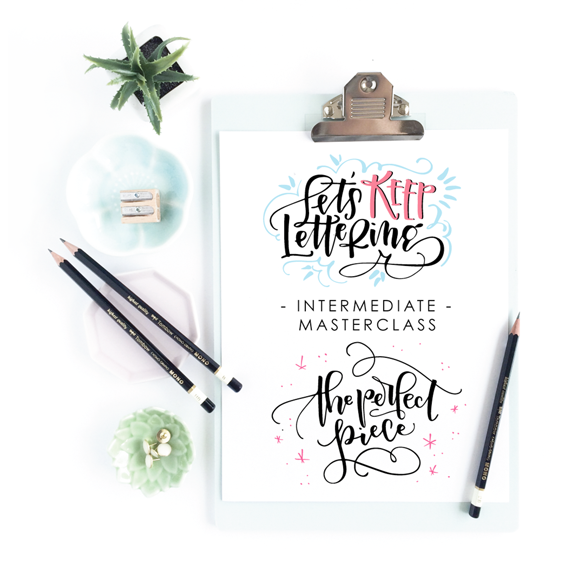 This course will open so many possibilities for you and will have your brain buzzing with all of the lettering you will be able to do! Toss that black pen and paper aside and let's get limitless! GET YOUR SPOT IN BEYOND BASICS & BLACK NOW!